This necklace set is Absolutely Gorgeous! 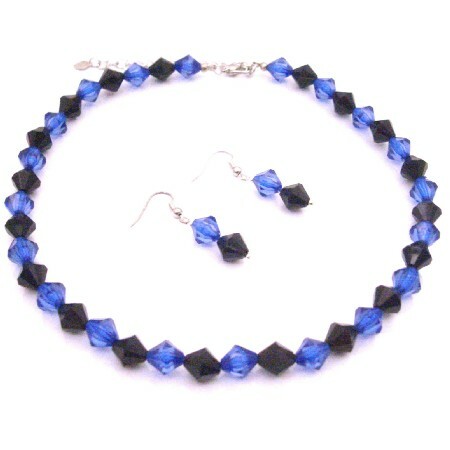 High Quality BridesmaidBridal Flower Prom Wedding Necklace & Earring Set in Beautiful Chinese Dark Blue & Jet Crystals delicate yet elegant set is adorned & we can mix match color in your way. In rich complimentary colors that work magic as they delight the senses! A party on your Neck & ear lobes. festive.